Come savor a savory dish at 641 Grill And Motel Ltd. They are open after-hours from Tuesday to Sunday and are conveniently accessible by car. Come enjoy a savory creation at Bangkok Fusion. They are easily accessible by car and are positioned in a surrounding characterized with restaurants. Come savor an appetizing meal at Taco Del Mar. This establishment proposes tacos. They are easily accessible by car. Browns Socialhouse welcomes you to their establishment. They are open late all week. You can get there by car and may pay by American Express, MasterCard and Visa. Come taste a delectable creation at Opa! of Greece. You can get there by bicycle and car. The surrounding area is memorable for its restaurants and stores. Come savor a yummy creation at Thai Basil. They are open at night from Tuesday to Sunday. You can get there not only by bicycle but also by public transit. 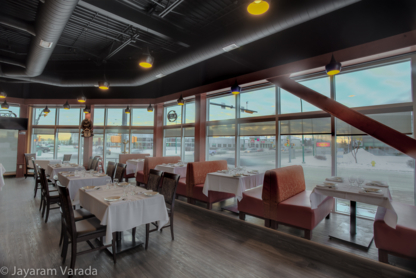 The concierge always knows: If you are travelling in Deer Valley SK, your hotel’s concierge or hotel staff will be able to find restaurants that suit your taste buds and budget. Are you looking for something ethnic, local or for a fine dining experience? The concierge will be able to lead you in the right direction and even place a reservation for you or place a takeout order if dealing with delivery restaurants.